Watermelon is a healthy fruit. This is the perfect boat for creative bowl appearance. 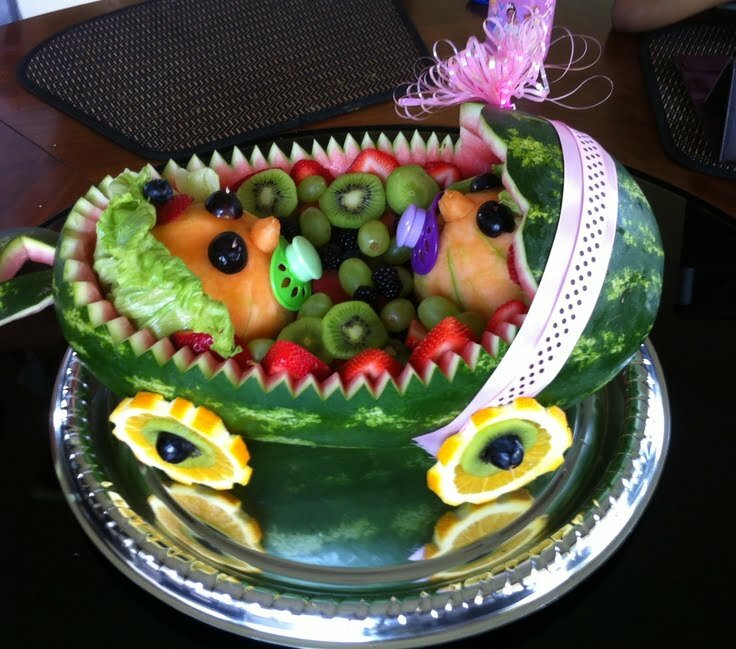 Some chefs and food artisans can remove the flesh of watermelon and carve the skin to create the shape of the bassinet. 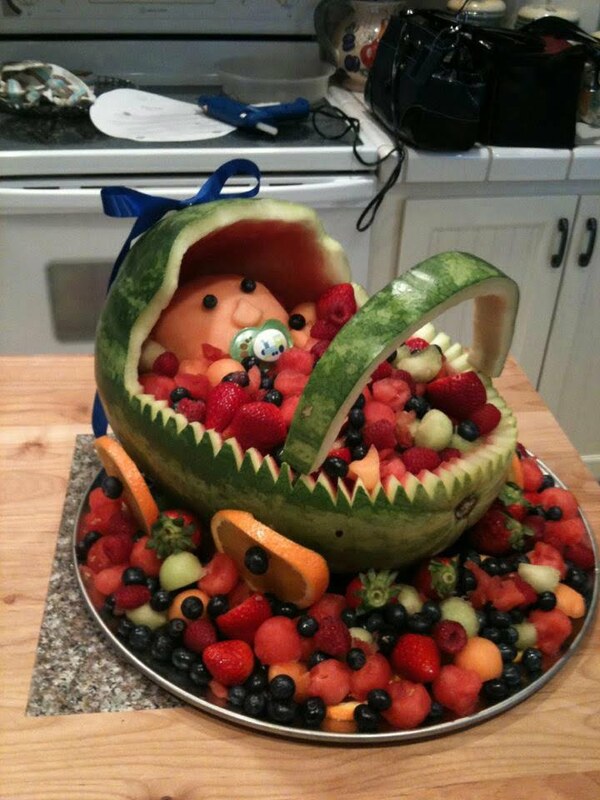 Yeah, of course it will be a hit at your baby shower party. 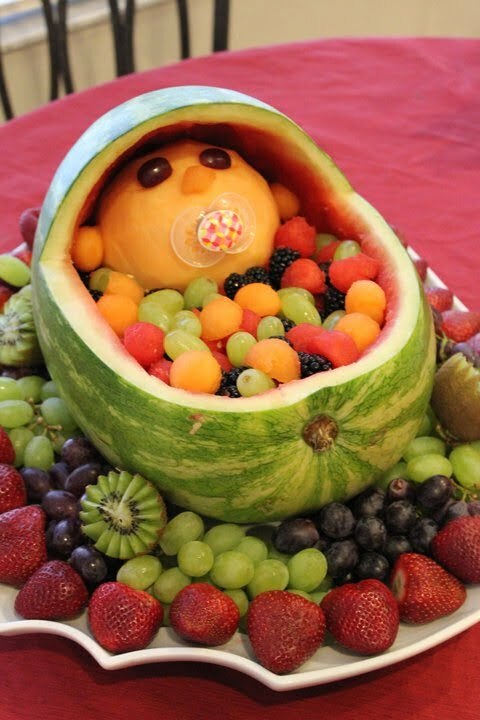 However, if you are going to attend a baby shower, you can make a watermelon fruit bowl shaped like a baby carriage. 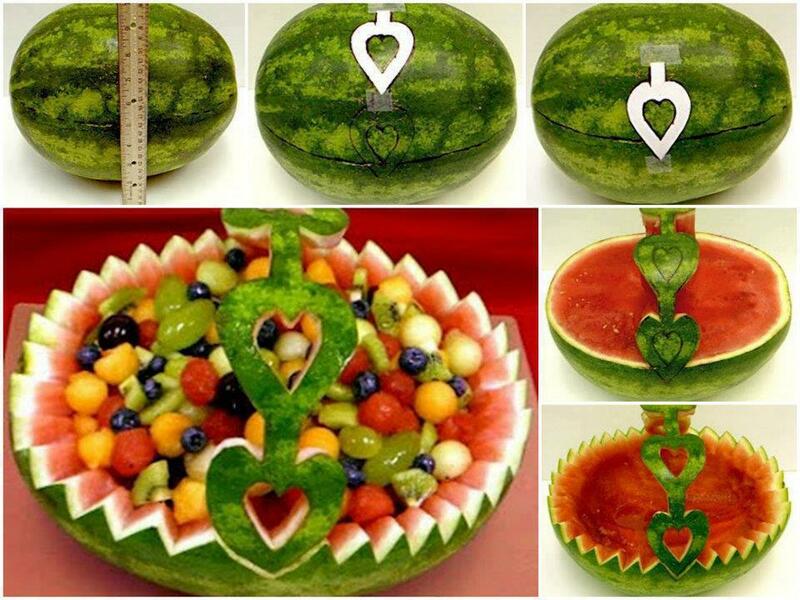 Make a bowl of watermelon is not difficult, here I will give you tips for you. First, cut the skin of the bottom of the watermelon so flat. Then skin prick bottom three or four times with a small knife. This is to make the drain water is running out of fruit. Scores horizontal line 2/3 of the watermelon from the halfway using a small knife. Leave 1/3 of the side untouched. Then score a vertical line at the top of the fruit to make a hood carriage. Place the cookie cutters or other devices to the line for the bonnet and balanced light melon to make a scalloped edge. Cut along the straight lines using a sharp knife to remove the skin watermelon. Remove the fruit of the watermelon. You can use a melon baler or cut dice. Then cut the 5 inches of parts removed from the skin to make the grip rail. Cut the center and bottom of the handle by using a form guide as a watermelon rind. Stick a toothpick to push the handle to bind to the rear of the train. Use Two toothpicks to secure the well. Stack slices of lemon to make the wheels. Put orange slices and use toothpicks to secure them. Enter maraschino cherry to the end of a toothpick in each of the wheels. 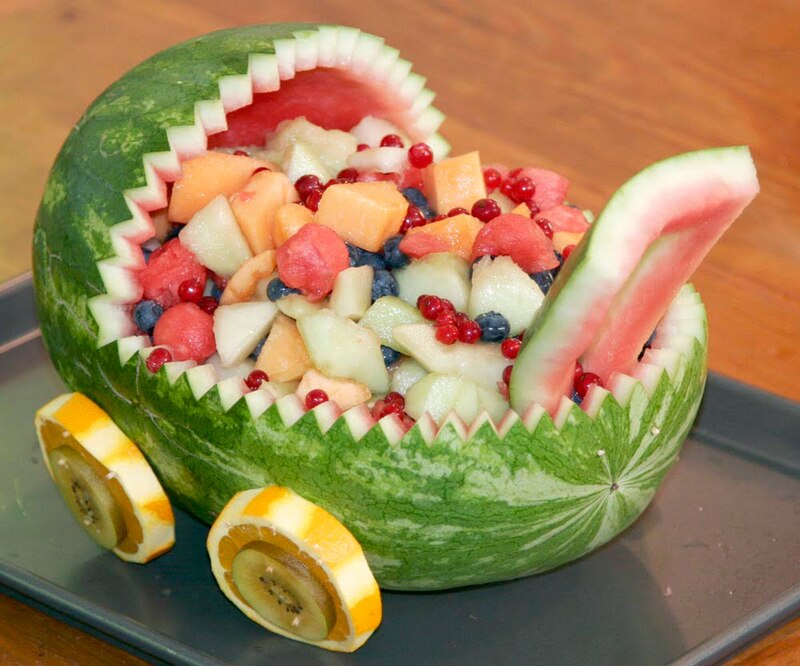 Finally, place the train on a plate and add fresh fruit before serving. Do not forget to add ice cubes to keep cool.